As you all know Sony PlayStation 4 is to be released next month in the United States and Europe. The Sony is leaving no stones unturned to make the PS 4 a success. You can read all about the release dates here. The post contains the titles which will be available for PS 4 as well. However, in a bid to woo its existing patrons of PlayStation 3, it rolled out a update today which will make it possible for the PS 3 owners to pre-order the game titles for PS 4 from PS 3 itself through the PlayStation store. 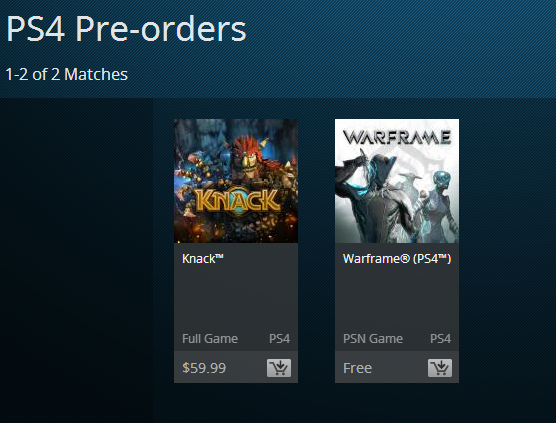 First of the two gaming titles available is SCE Japan Studio's Knack, which comes in at $60.00(Rs.1200.00) and the second one is a free multiplayer shooting game called Warframe. The use of pre-ordering the PS 4 games is that if and when you get your PlayStation 4, you have just to plug in the PS4 and the games will be available for you to play instantly without having to buy a title at that point of time. Again I did like to point out that the release dates of PS4 for India have not been disclosed by Sony but their site gives a subtle mention of a 2013 release. 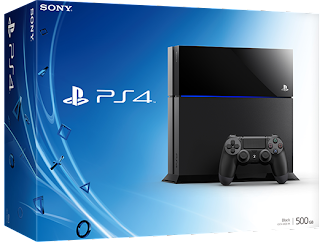 However you can book or pre-order your PlayStation 4 in India for Rs.3000.00 deposit amount. Read about it here.